Whether the setting of your home is rural, urban or suburban, its architecture listed or contemporary, Malbrook designers are skilled at creating imaginative and distinctive solutions to complement a wide range of architectural styles. The orangery type glasshouse was originally developed for the cultivation of orange trees in the cooler British climate. 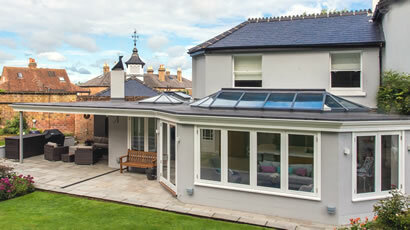 This is generally a substantial extension combining solid walls with a glazed roof. 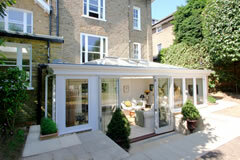 An orangery provides an interesting alternative to a conservatory. 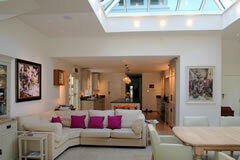 A well-planned extension has the ability to change the way you use the spaces in your home. It can link previously separated areas such as a kitchen and dining room to become the heart of your home. 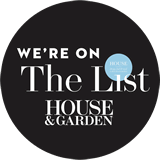 Opening the back of the house to integrate fully with the garden is an option that our clients increasingly choose. As part of our service, Malbrook design, manufacture and install folding sliding doors using appropriate hardwood and double glazed units to meet the highest specifications. 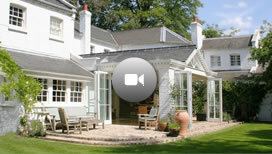 Using traditional and modern techniques Malbrook offer a wide range of imaginative and distinctive solutions. From oak frame to composite structures, using aluminium and timber, all our buildings are secure and energy efficient. Each Malbrook conservatory is individually designed and constructed to respond sympathetically to the architecture of your house and the layout of your garden. Our comprehensive service includes all aspects of the planning and conservation processes. 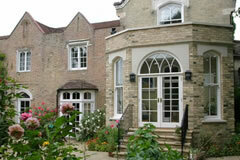 Our traditional methods are well suited to historic restoration and refurbishment projects. Malbrook is proud of its reputation as an established and leading provider of top quality conservatories, orangeries and garden rooms. Our professional and experienced team will offer a friendly and practical approach to develop your project from the important design and planning stages right through to the completed installation. We design manufacture and install beautiful and durable hardwood buildings, Conservatories, Orangeries and Garden Rooms that will reflect you and your lifestyle: an expression of the distinct, individual character of your home. At Malbrook, our aim is to embrace your vision and add our specialist skills to develop an original and perfectly integrated addition to your property, be it modern or traditional. Take a look at the work we do in our Gallery. 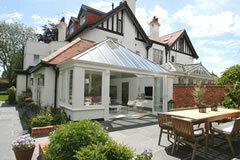 Malbrook specialise in wood Conservatories, Orangeries and Garden Rooms that are the perfect solution for your needs. If you need to replace an existing Orangery on a heritage listed building or have a very modern contemporary vision or there is an awkward space to fill our structural engineers and designers will ensure that not only will the new addition enhance the existing building but also it will satisfy the most stringent requirements. Find out more about Custom Designed Detail. Would you like more space and light? 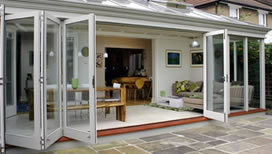 As part of our service, Malbrook design, manufacture and install folding sliding doors using appropriate hardwood and double glazed units to meet the highest specifications.